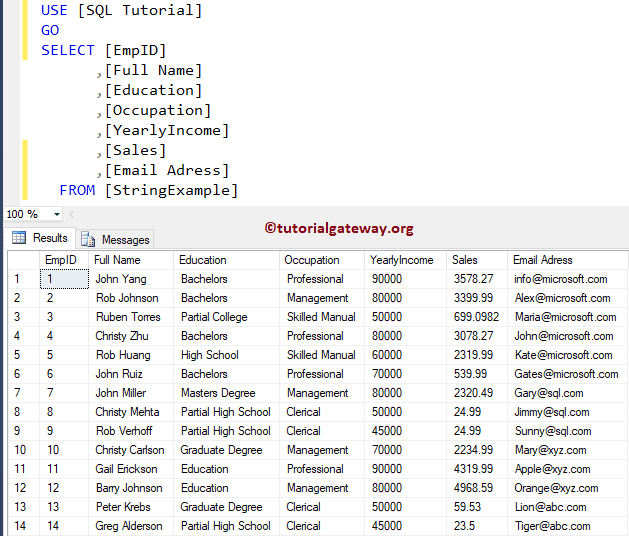 In this replace string example we will declare a string variable, and then we are going to replace a part of a string with new string using the SQL Server Replace Function. 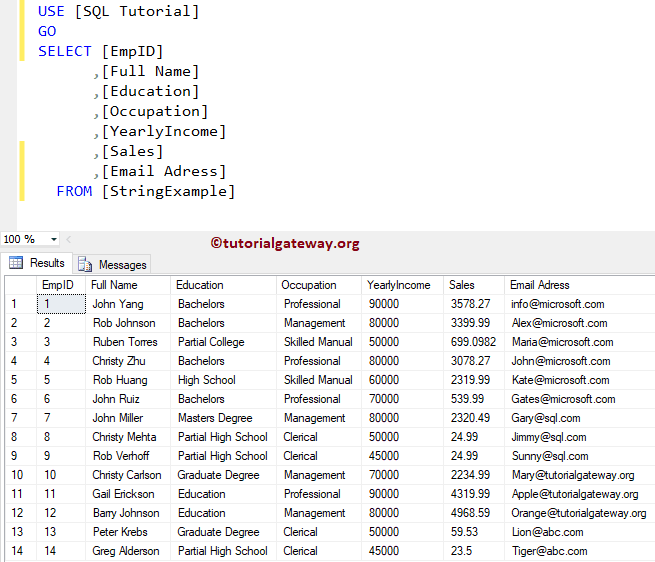 This replace string example will show you, How to replace string in SQL Server SELECT Statement. Here we are going to use the REPLACE Function while we are selecting data from the table. 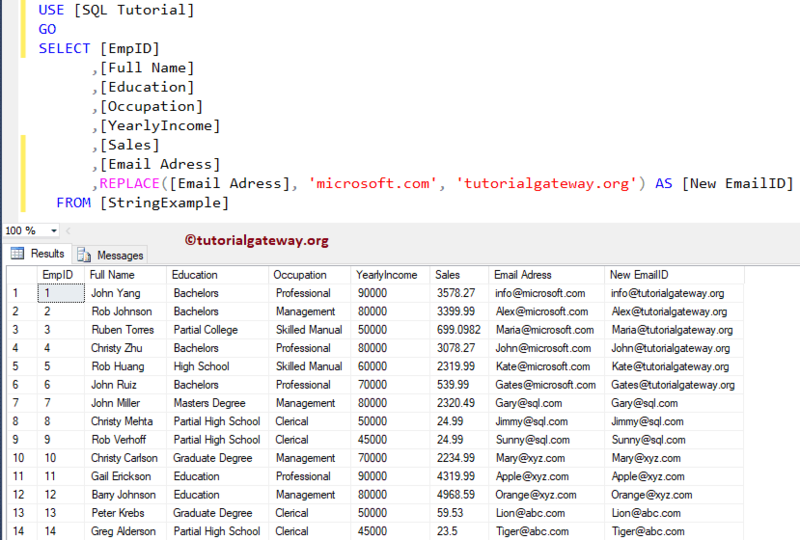 In this example we will show you, How to replace string in SQL UPDATE Statement. Here we are going to use the REPLACE Function in Update Statement.